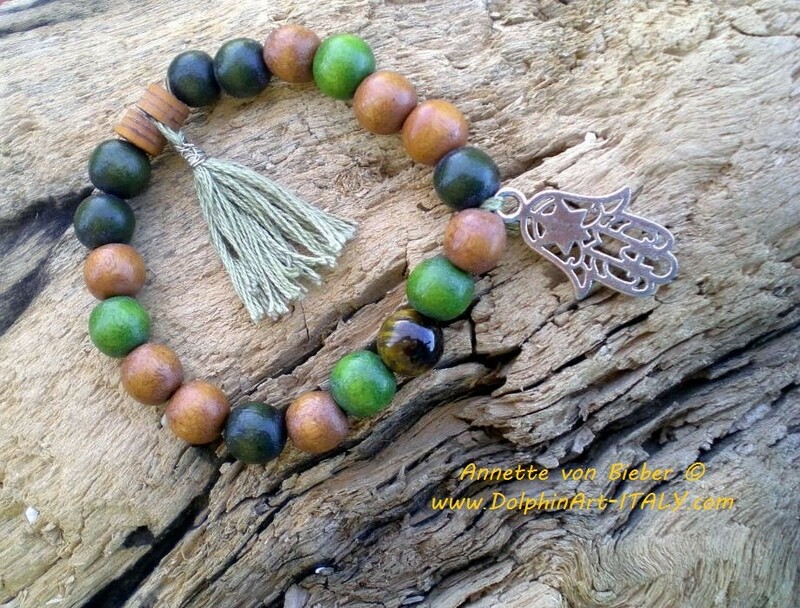 This is a beautiful stretchable bracelet which features 20, 8 mm, natural wooden beads, 1 Tiger's-Eye bead, a tassel and a metal Fatima Hamsa Hand. Fatima Hamsa Hand is the symbol of patience, loyalty and faith and the protection from Evil Eye. The tassel is considered the symbol of a thousand lotus petals. Tiger’s-Eye is for concentration, respiratory system, against Evil Eye and for finances.